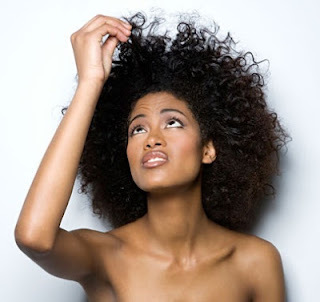 Several years ago when I first went natural, I remembered reading information online about how hard water destroyed our hair. Until that point, I didn't realized how many chemicals and heavy metals were in our water system. I immediately started searching the stores for shower filters that were reasonably price. I found the below shower filter at homedepot for under $20.00. The filter that was included lasted for approximately 6 months or 30,000 gallons. I usually keep mine for a year before replacing. The replacement filters will run you about $13.00 at your local home depot. After the DH installed this showering filtering system, I immediately notice a difference in my hair and skin. My hair seems softer, shiner, with more manageability. Where as my skin seemed more balanced and not as dry. Enjoy cleaner, healthier hair and skin simply by taking a shower. 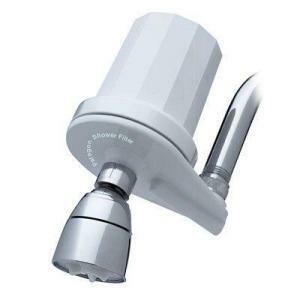 Paragon shower filter efficiently helps purify your shower water. Immediate results for, brighter hair, cleaner glowing skin. Chlorine, radon, heavy metals and odors are found in most water systems. When showering these damaging impurities are absorbed through your skin and enter your body they build up residue on hair and skin. Reduces the effects of water hardness. Easy to install. Paragon Shower Filter, try it for health, beauty and cleanliness. Reduces over 99% Chlorine for 30,000 gallons!!! SO DO YOU HAVE HARD WATER IN YOUR AREA? EVER USED A SHOWER FILTER? IF SO WHICH ONE?